If you've followed along here on WhitetailDNA, I think by now you probably know that I love trail cameras. You could even go as far as calling it an addiction. Trail cameras have their place when it comes to deer hunting, no doubt. They are a tool that when used in the right way, can help your hunting efforts immensely. Over the course of the last few years, I had at some points been running close to thirty trail cameras. What I've found though is that in this case, more doesn't always equal better. I've learned a few things about trying to run too many trail cameras, and now this year, once I've got all my cameras up, I'll be running in the 10-15 range. Below I'll detail a few of the negatives that come with running too many trail cameras, and why if these are an issue for you, maybe it's time to downsize the fleet. When I was running close to thirty trail cameras a couple of years ago, I covered a lot of ground, but I wasn't very efficient with how I checked cameras, got them up, etc. I was so worried about having as many properties covered as I could, I started to become sloppy. 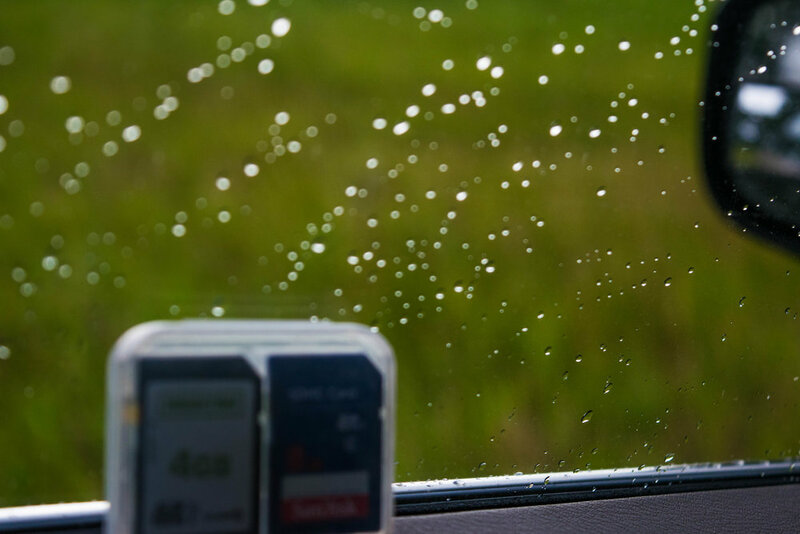 In some cases, I wouldn't worry about weather conditions, the wind direction, and things of that nature that I normally find important when putting up and checking trail cameras. But when you have so many out, and feel the need to start getting cards pulled, you may put the right conditions on the back-burner, and just get out to check a certain camera. There's going to be a threshold that if you cross, you'll end up just becoming less and less efficient when it comes to checking trail cameras and collecting information from them. What would commonly happen to me is the following scenario. I would have a weekend put aside to glass fields in the evenings, hang stands and clear shooting lanes in the summer. But opposed to getting all of that done, I'd spend practically the whole entire weekend swapping SD cards because I had so many that I wanted to check and I'd start neglecting other deer hunting chores that I needed to accomplish, which in turn would set me back a little bit. 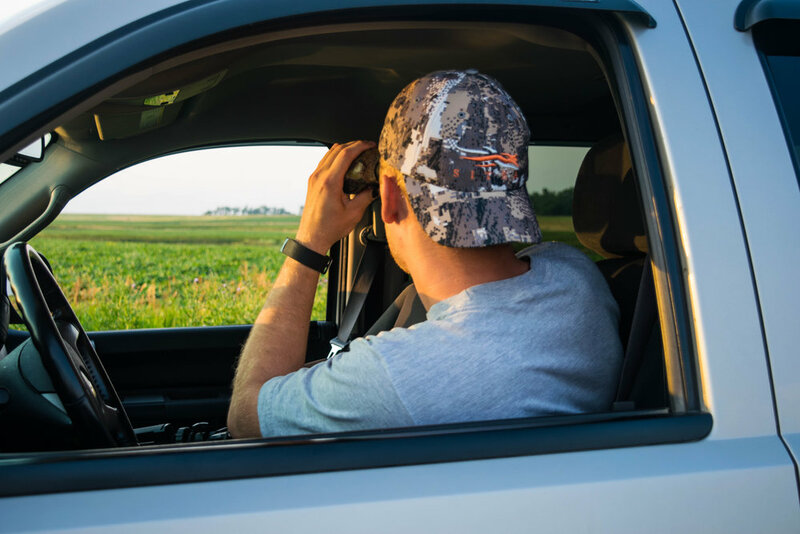 Though you can have a lot of eyes out in the field with so many trail cameras, it can make it vastly more challenging to get everything done that you need to in a summer. When I ran around thirty trail cameras, I found that because I had so many out in the field, I more or less relied upon their information to plan how I hunted, and ended up chasing my tail. What I mean by this, is during season, I'd constantly be checking trail cameras, and every time I checked them, if there wasn't a shooter on camera, I'd go on the next one and so on and so forth until I had a shooter that had been showing up recently, and then hunt there. This strategy is fundamentally flawed and can get you in a lot of trouble. You'll be hunting from behind more often than not. When you run less trail cameras, I feel as though you're more apt to not rely on the trail camera information, but instead use the intel to help aid your hunting efforts. Something that I never really thought about before I started diving deep into trail cameras was all of the "other" stuff that goes into running a lot of cams. I'm talking batteries, SD cards, trail camera maintenance, etc. When you only run a few trail cameras, this might not seem like a big deal, but when you all of a sudden have thirty of them, it's very challenging to keep everything organized. I was at a point where I was labeling every single SD card, numbering my cameras, keeping a spreadsheet, taking a full day just to set up my trail cameras in early summer, and on and on. It's a tall task to keep everything organized when you run a ton of trail cameras, and this is something that you should be thinking about if you are someone who wants to run a large number of trail cams. You might think I'm kidding here. But I'm not. When you are running a ton of trail cameras, it can be easy to forget about which ones you have where. I would mark them all on a map, but every now and again you might forget to, or even if you have them all marked on a map, you can still just forget about which ones are where. I know at times, I'd be looking at maps or trail camera spreadsheets after the season concluded, and would notice that I had one I hadn't checked since the summer that I totally forgot about, and it'd be one of those "oh sh**" moments and you run out to grab it. That's great and all until once you throw that SD card into a computer and see that you had a shooter buck showing in daylight all of September or October. It'll make you not want to forget about a camera again. Like I said in the opening paragraph, trail cameras are awesome, there's no doubt about it. But if you are wanting to cover a property or multiple properties with large amounts of trail cameras, take into stock some of these negatives. They might be able to better prepare you for what's to come. Older PostLocating a Big Woods Buck in The Summer - What Does it Really Mean?